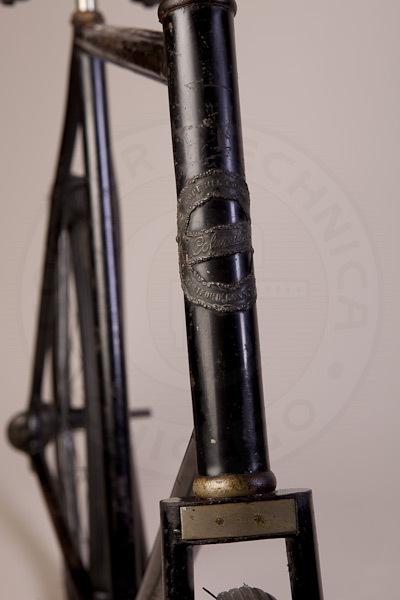 This Columbia is unrestored and has its original head badge and stove enamel paint. 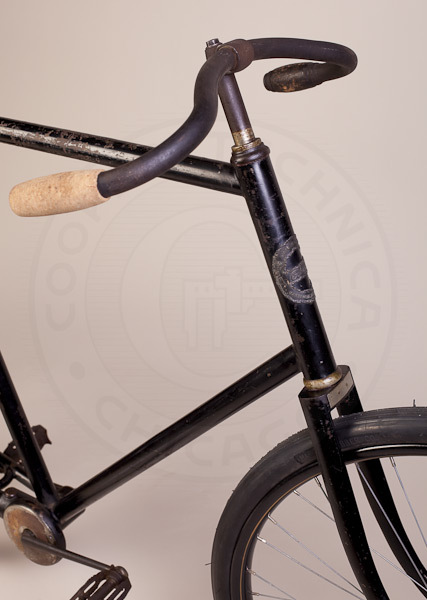 When I obtained the bike, the front rim, which is made of wood clad with steel, was broken. I suspect it had not been ridden for over 50 years. 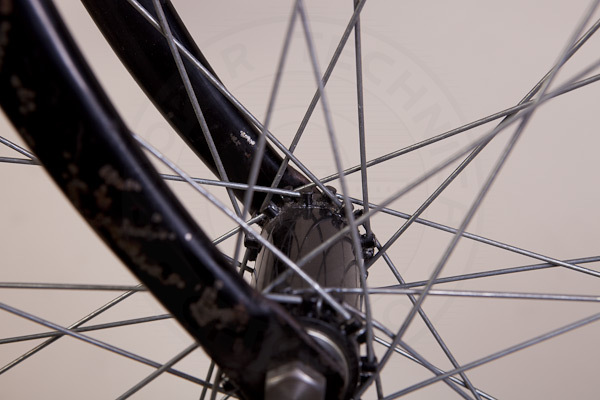 A new old stock rim one was obtained and the front hub reconstructed by Keith Hellon. 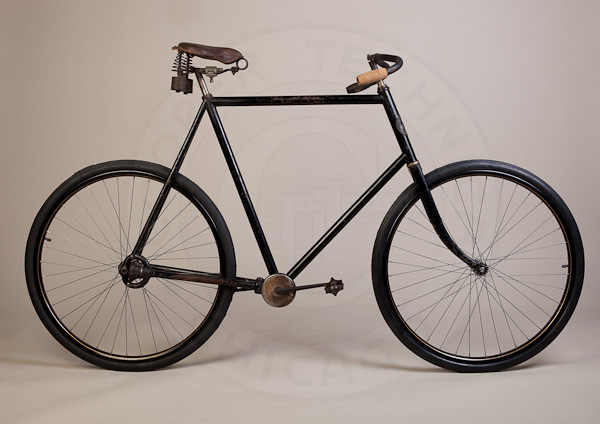 Except for the seat, the new single-tube original style tires from West Virginia, and one of the cork handlebar grips, all of the components are original. 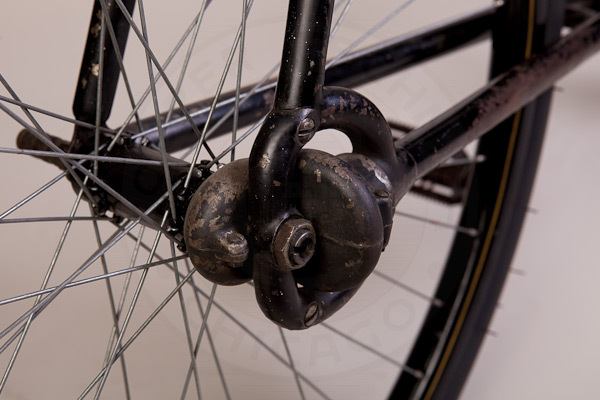 The hubs have straight pull spokes, proving that concept was not a recent innovation in the cycling world. 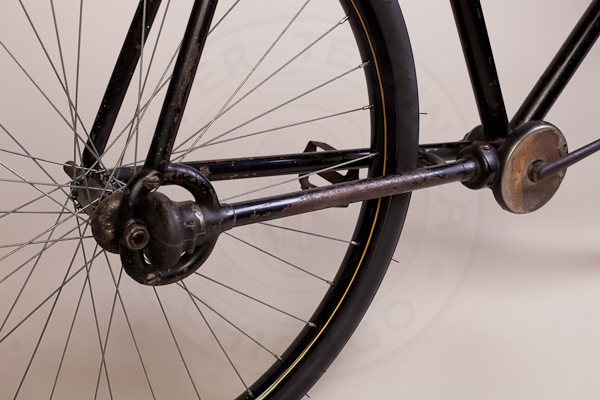 The original owner did not order the optional spoon brake which pressed on the surface of the front tire. Many of these Columbia chainless bicycles are in museums, but this one is now ready to ride. 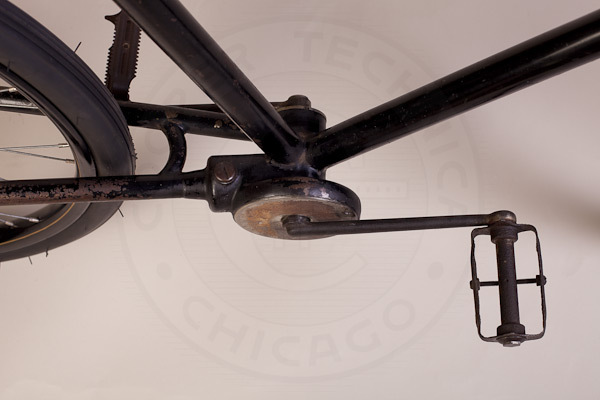 Drive shaft enclosed in chain stay. One bevel gear set at crank and another at rear hub.